Savvy travelers on the go know that when it comes to receiving that personal touch, no other kind of lodging provider surpasses the hands-on care and attention offered by a bed and breakfast inn. And you'll find that bed and breakfasts in Tennessee are in a class all by themselves when it comes to spoiling their guests and lavishing them with all the touches of home that make a B&B stay a special vacation experience. At a Smoky Mountain bed and breakfast, you're not just staying in a facility built for the masses; you're often staying in someone's personal home, and as such, you are afforded all the comforts of home, including accommodating amenities like fireplaces and whirlpool tubs as well as private bedrooms and bathrooms decorated in the owner's personal style and sense of theme. Many B&Bs can help you plan the rest of your vacation as well, whether it's recommending a good restaurant, providing insiders' traveler tips or helping you find tickets for your favorite music theater show. However, what truly sets Tennessee bed and breakfast inns apart from other types of overnight lodgings is a one-on-one attention to detail. Bed and breakfast hosts traditionally pay attention to the small things, those little touches that go the extra mile to make guests feel welcome, whether it's fresh flowers in the dining room, a library full of reading material or perhaps just a private porch where a guest can curl up with a good book and lose herself in an afternoon of reading and relaxation. And since bed and breakfasts usually book only a few guests at any given time, each patron doesn't feel like he's sharing the premises with the rest of the world, a perk that only enhances the laid-back atmosphere. Of course, no B&B experience would be complete without the breakfast part of the equation. It's not uncommon for one of the owners to be particularly skilled as a cook or, in some cases, even have professional experience as a chef. You'll typically find that the meals are fresh, uniquely designed and presented and afford the palate a wide range of tastes and textures. And meal service isn't restricted to breakfast. Depending on the venue, you might find an inn that serves dinner or perhaps offers a special dessert or coffee service. Whichever setting you choose, whether it's nestled in the mountains or hugging a scenic pastoral valley, you can be assured that the bed and breakfast inns of the Smokies are designed to help vacationers get the most out of their mountain adventure. Click on a Smoky Mountain Bed and Breakfast below to start your adventure. Sitting on 26 acres, this timeless lodge offers a retreat like no other. Featuring 14 suites with balconies and fireplaces while overlooking Gatlinburg. The mountains are calling you back to a peaceful place for that special vacation. At Mountain Harbor Inn Resort every suite has a breathtaking view of the beautiful Douglas Lake, caressed by the majesty of the the Smoky Mountains. Every suite includes a romantic sunset cruise, an intimate candlelight dessert and a bountiful breakfast buffet. 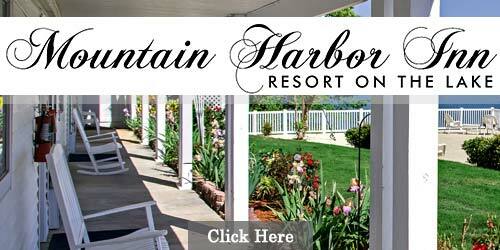 Call to reserve your stay at Mountain Harbor Inn Resort on Douglas Lake. 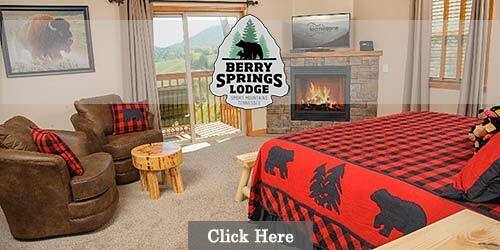 Our smoky mountain resort lodging accommodations offers a number of lodging options. In the main lodge there are three types of rooms. Sunset Queen rooms, on the main level and King fireplace sunset mountain view rooms on the second floor. Also on the second floor is the sunrise mountain view King fireplace Hot tub rooms. Just adjacent to the main lodge are the Suites. All rooms feature private balconies with amazing views, individual heat and cool controls, TVs and DVD players and private baths. 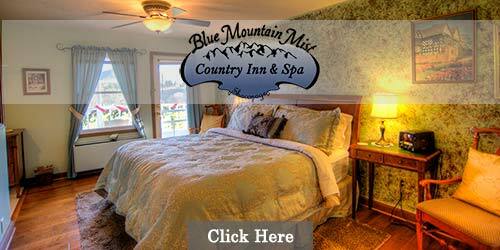 The Blue Mountain Mist is a distinguished Smoky Mountain inn where romance, history and nature abound. We offer beautiful views; romantic rooms, suites and cabins/cottages, homemade Southern breakfast, relaxation, and the ultimate in southern hospitality. All of this just minutes from Gatlinburg, Pigeon Forge, Dollywood, and the Great Smoky Mountains National Park. 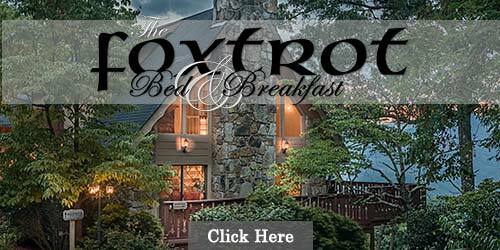 Nestled in the trees at the crest of the mountain, the Foxtrot Bed and Breakfast Inn near Gatlinburg, Tennessee offers four luxurious guest rooms with private baths and spectacular views of Mt. Leconte and the Great Smoky Mountains. You will enjoy sumptuous breakfasts and can choose from a variety of spa services. The balconies overlook downtown Gatlinburg. Ever imagined private quarters in the heart of Pigeon Forge, off the beaten track, with a talented chef preparing your breakfast, even dinner by reservation? A fireplace glowing as you sip your favorite beverage, the whirlpool tub steaming and your favorite bath salts filling the air with a delicious scent, a soft cozy bathrobe and slippers awaiting you? Soft music playing and nothing but relaxation and pleasure ahead? If you're staying in a Gatlinburg bed and breakfast, you're benefiting from your proximity to some of the most beautiful scenery in the eastern United States. The south end of the city lies at one of the main entrances to Great Smoky Mountains National Park-a massive outdoor playground offering hundreds of miles of hiking trails, fish-filled streams and other recreational opportunities like camping and historic auto loops. The national park hosts some of the highest peaks in the Smokies, so be sure to bring your camera along for lots of great photo opportunities. The city of Gatlinburg itself is a scenic location, wedged into a deep mountain valley and surrounded on all sides by mighty mountain fortresses. One of those peaks, Mt. Harrison, is a popular destination thanks to Ober Gatlinburg, which offers snow skiing, snowboarding and ice skating in winter and warm-weather family fun activities in summer. Staying at a B&B in Gatlinburg, Tennessee also gives guests access to dozens of crafts shops and studios in the Great Smoky Arts & Crafts Community as well as downtown points of interest like a school of arts and crafts as well as shop after shop offering unique, hand-crafted merchandise. Of course, the Parkway downtown is packed with attractions like a music theater, go-cart tracks and amusements, unique family-themed museums and the world-famous Ripley's Aquarium of the Smokies. Choosing a Pigeon Forge bed and breakfast is a great strategy if you're planning to take advantage of the many attractions and shows that the city has to offer. Although your setting is likely to be secluded enough to fill your experience with Smoky Mountain scenery, chances are you'll be no more than a few minutes away from all the action that lies along the Pigeon Forge Parkway. Major attractions like WonderWorks and the Titanic Museum Attraction are fun destinations, even if you're traveling without the kids. You'll also have your choice of more than a dozen music and variety shows, which run the gamut from country, bluegrass and rock and roll to magic, comedy and feats of daring horsemanship. Along the way are more mini golf courses and go-cart tracks than you can shake a stick shift at. Don't forget that your bed and breakfast in Pigeon Forge, TN will also put you within easy striking range of Dollywood theme park in spring, summer and fall, and Dollywood's Splash Country during the summer months. And finally, Pigeon Forge visitors have shopping destinations galore at the city's many outlet malls, and they'll find cuisine for all tastes and budgets at any of dozens national and local restaurants. Although Gatlinburg and Pigeon Forge often get more attention, Sevierville is one of the better-kept secrets in the Smokies because of its convenient central location in Sevier County. 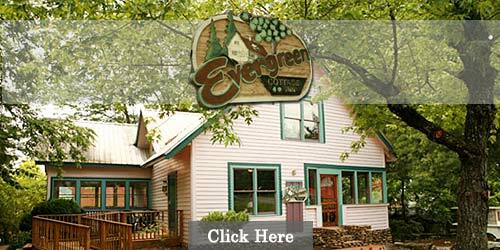 Anyone staying in a Sevierville bed and breakfast inn can access Pigeon Forge, Gatlinburg and Great Smoky Mountains National Park with a relatively short drive, but other local destinations are handy as well. If you choose to make an outing to Townsend, TN, on the peaceful side of the Smokies, Sevierville is a good starting point, and those interested in checking out the sights in Knoxville or perhaps enjoying a day out on the water on Douglas Lake are ideally situated for that trek. If you decide to stay in a bed and breakfast in Sevierville, the city itself has a lot to offer too, including attractions like Forbidden Caverns, the Tennessee Museum of Aviation, Deer Farm Petting Zoo and Riding Stables, the Hatfields and McCoy Dinner Show, and minor league baseball action at Smokies Park near Interstate 40. When it comes to shopping, many savvy buyers make Sevierville their prime stopping point thanks to outlet malls like the Tanger Five Oaks Outlet Center and mega stores like Bass Pro Shops.